Why wood? A question not unfamiliar to the Spirit Yachts team. Read on to find out why we believe it’s the best boat building material out there. Why do Spirit Yachts build with wood? With so many composite products on the market today, the Spirit team is frequently asked about the intricacies of building modern yachts with such a traditional material. In summary, wood is the only natural boat building material offering beauty, impressive strength to weight ratio, flexibility and durability. However, we’re aware that here at Spirit we’re pretty biased, so here are the facts…. If used in combination with epoxy resin saturation (as we do at Spirit), and when considering the overall yacht structure, wood is a far superior material to the modern composites used across our industry today. With its fibrous grain imbedded in a naturally intricate matrix, wood offers impressive strength without the accompanying weight of most fibreglass products. When comparing the strength to weight ratio of a wooden yacht to a fibreglass composite boat it is necessary to consider the two construction processes. When building a fibreglass composite structure the hull is either made up of multiple layer of heavy E-glass, or a core is added such as foam or balsa. These cores increase the complexity and cost of the structure, and also require additional reinforcement in the form of pad layers where bulkheads and loaded structures touch the hull. As E-glass is heavy (but low cost) the result is an equally strong structure but with a weight penalty and none of us want to sail with excessive weight on board. With wood, the skin thickness comes as part of the material, with the added advantage that timber can sustain impacts with far less damage to the structure due to the wood’s complex multi-directional grain. 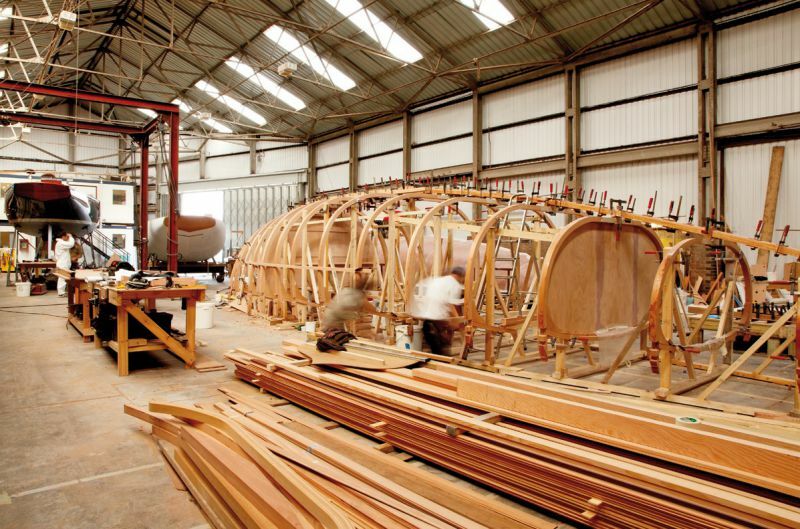 At Spirit we also don’t have to use composite moulds as all our yachts are handcrafted using wooden ring frames, thus allowing us to tailor the design to the owner’s requirements. 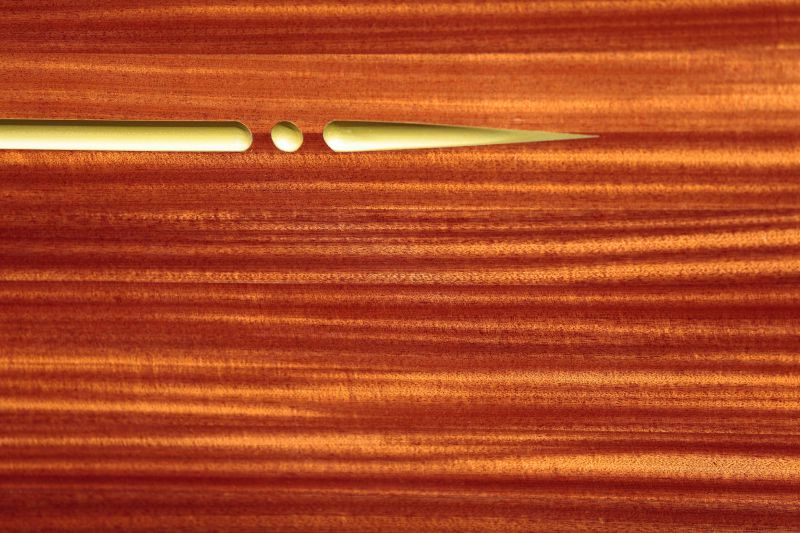 The natural matrix of wood offers exceptional flexibility, allowing it to easily be shaped, formed and bonded. This allows us to create intricate shapes without the need for heavy reinforcement. Spirit hulls and decks are internally finished by hand, unlike most composite yachts where a lining is required to complete the inside of the hull. Not only aesthetically beautiful, the natural wooden finish of the interior of a Spirit yacht provides excellent insulation, both thermal and sound, due to the impressive vibration absorption characteristics of wood. The added thermal insulation also means our yachts don’t suffer from the condensation that affects many fibreglass composite boats. Wood is at the heart of everything we do at Spirit and Sean (McMillan) has always been meticulous in sourcing the highest quality timber without compromising on sustainability. We are committed to only dealing with responsibly managed forests and regulated suppliers. We may be biased but with their iconic clean lines and warm wood finishes there is no denying the outstanding beauty of Spirit’s modern classic yachts. 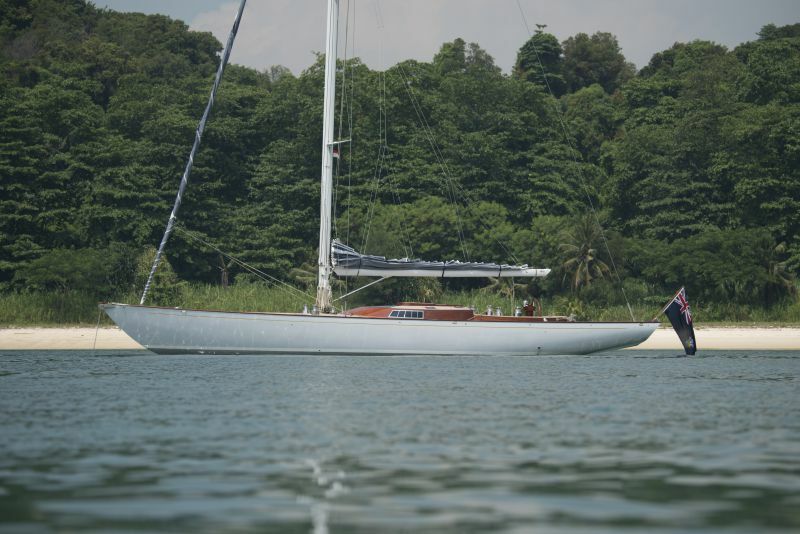 The ultimate combination of the stunning wooden aesthetics with modern appendages and the latest in sail technology means Spirit yachts have beauty, style and performance; what’s not to love?